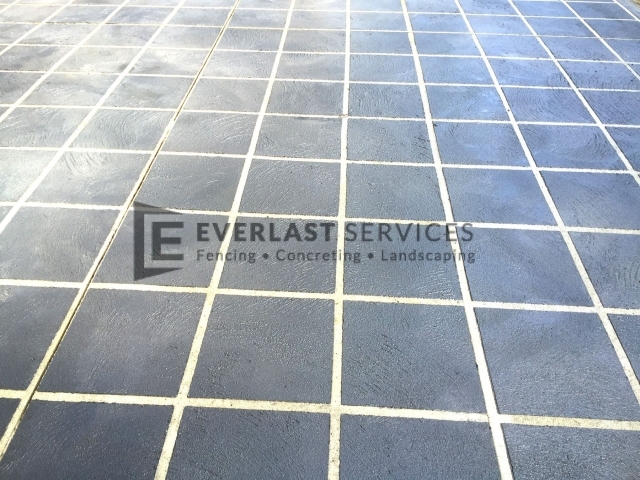 Everlast Concrete is the perfect place to find your stencil concrete needs. 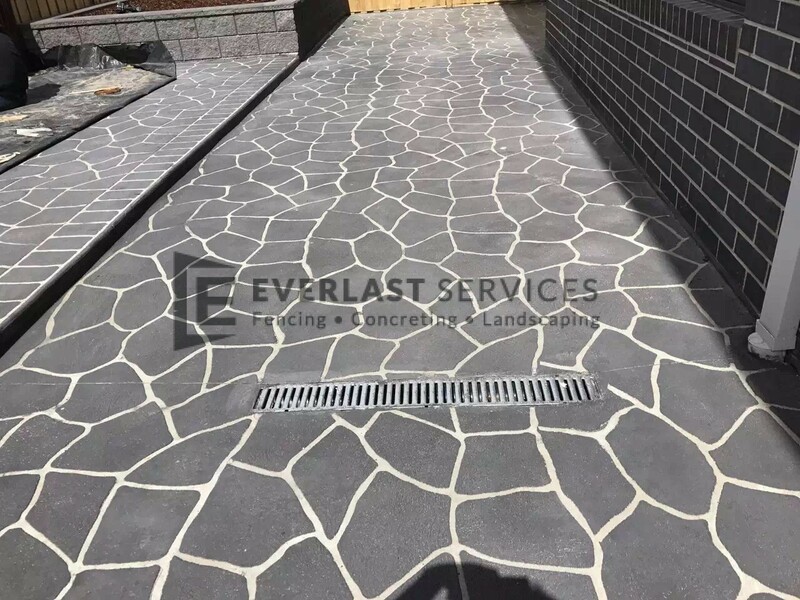 If you’re looking for all the durability and ease of plain concrete, but want a more visually striking finish, stencilled concrete is the perfect choice for you. 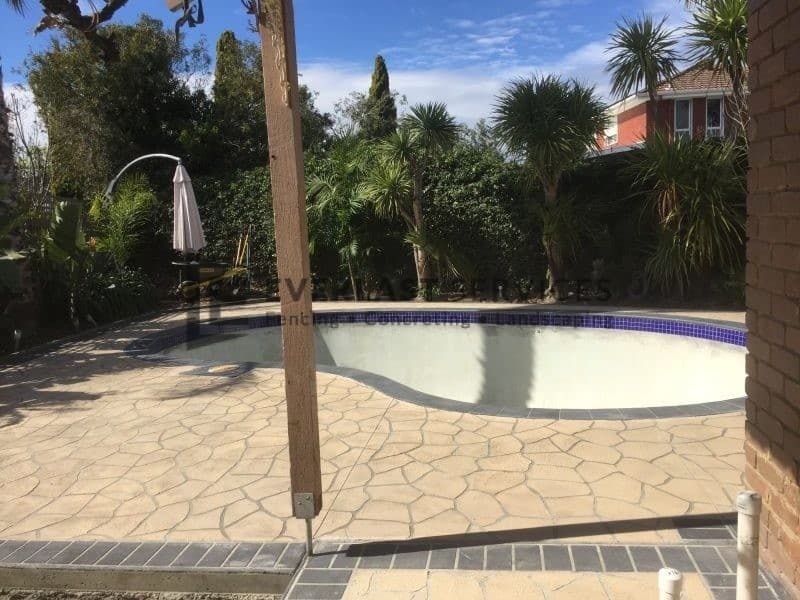 With stencil concrete the opportunities are endless – you can re-create finishes; such as slate and terracotta tile or even create your very own individual look. 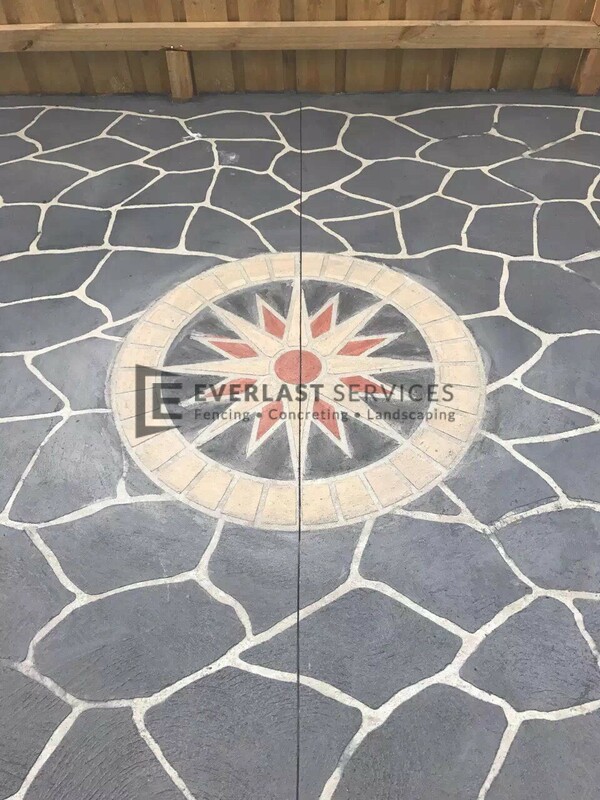 Our contractors are experts in concrete stencilling and they have created a myriad of looks to suit specific customer needs. 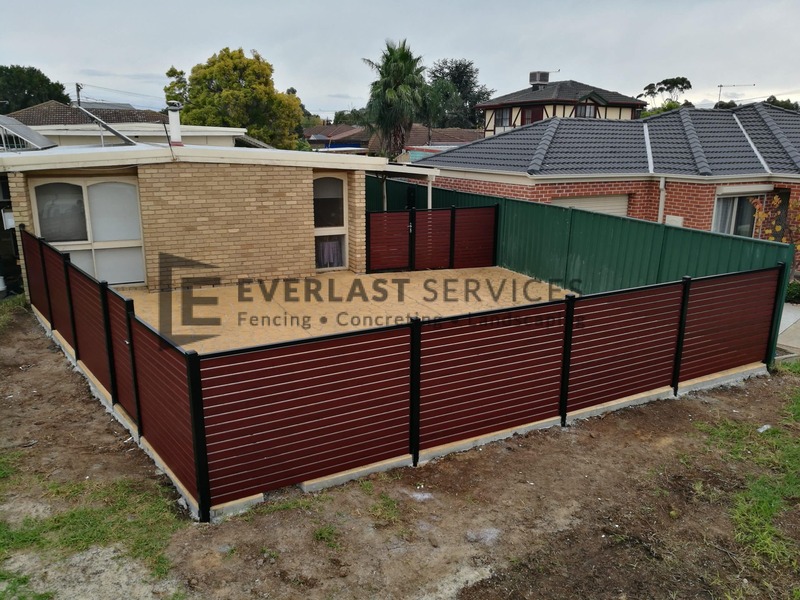 You can trust them to create the exact look you want and to give you a finish that will last for decades. 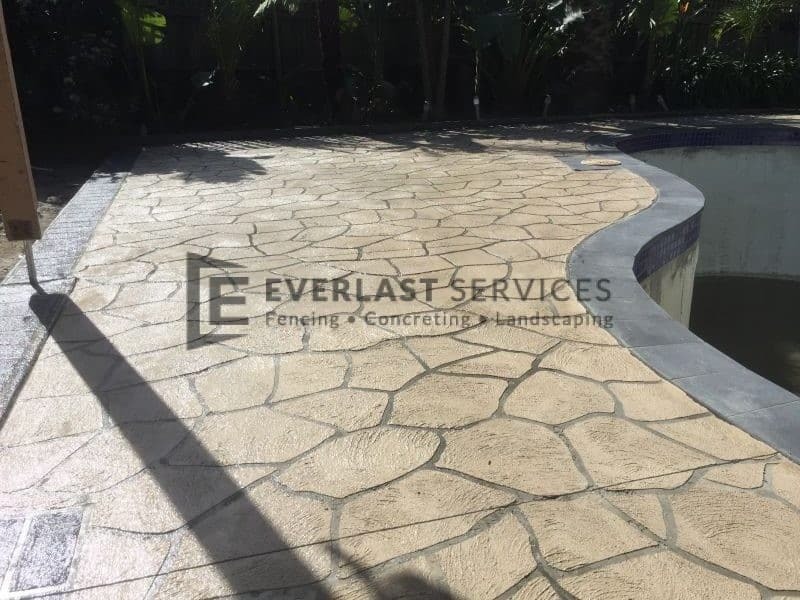 We take care of the entire project, from sourcing quality materials at reduced prices, right through to cleaning everything up. 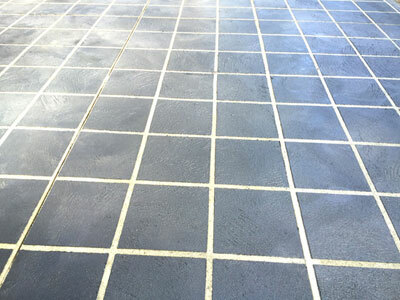 All you have to do is pick up the phone and then look forward to seeing the finished product. 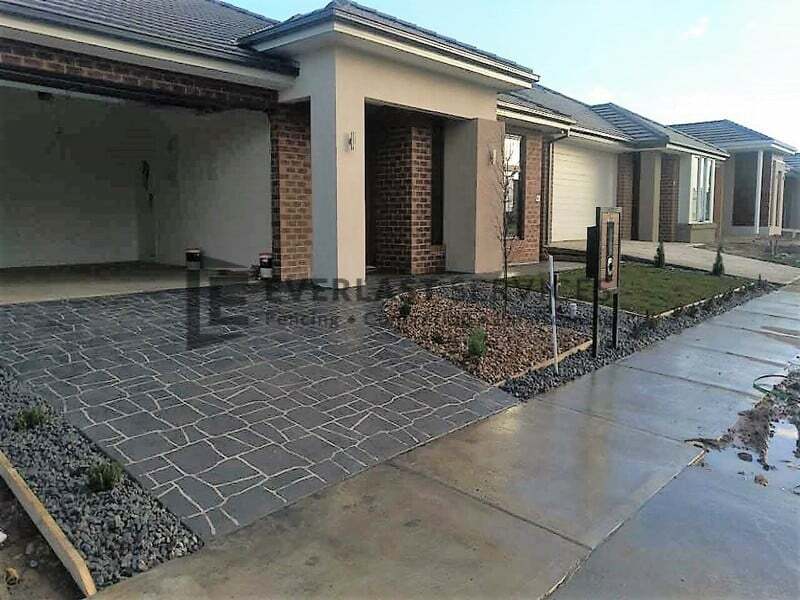 Driveways: just as durable as a plain concrete driveway, a stencilled driveway allows you to give your home’s entry point your own personal touch. 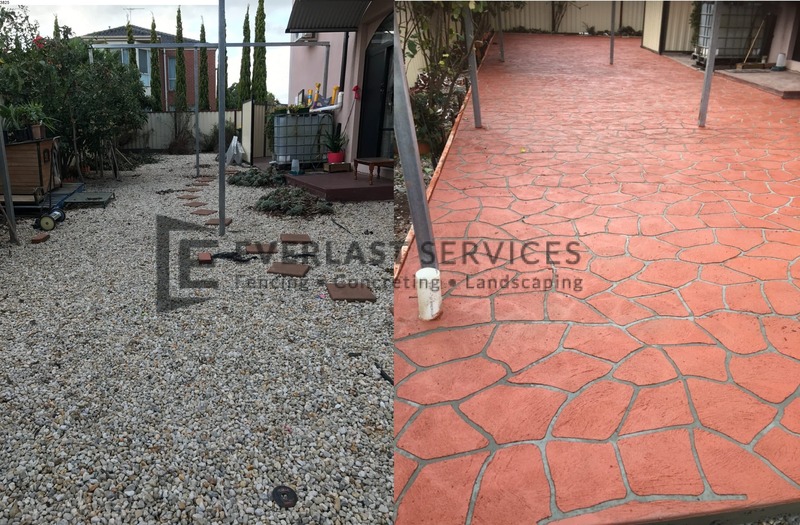 Patios and backyard entertaining areas: create the look of a terracotta or slate patio without the expense or the hassle. 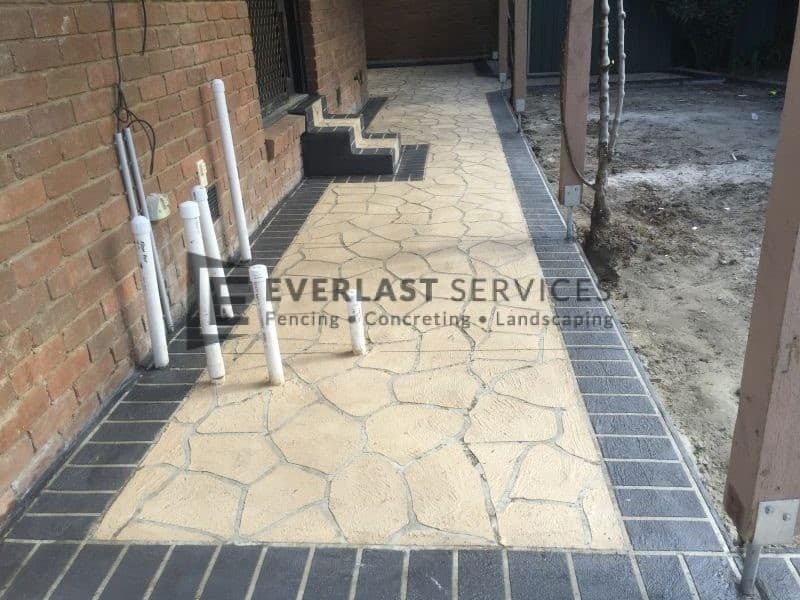 Footpaths and garden paths: break up your garden with a striking concrete path, or even opt for the more restrained bordering. Everlast Services is committed to supporting the local economy that has given us so much. 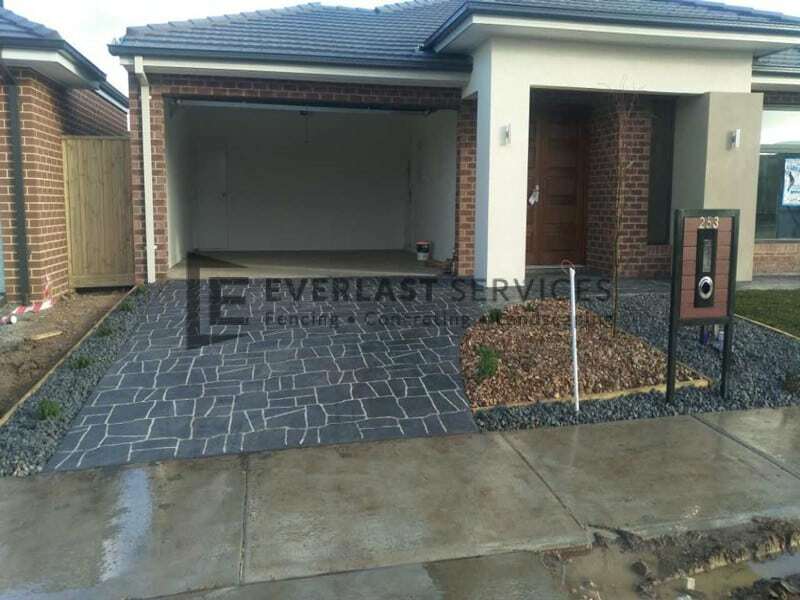 That’s why we source Australian made and owned products wherever possible, because we know they’re the best and we know they last. 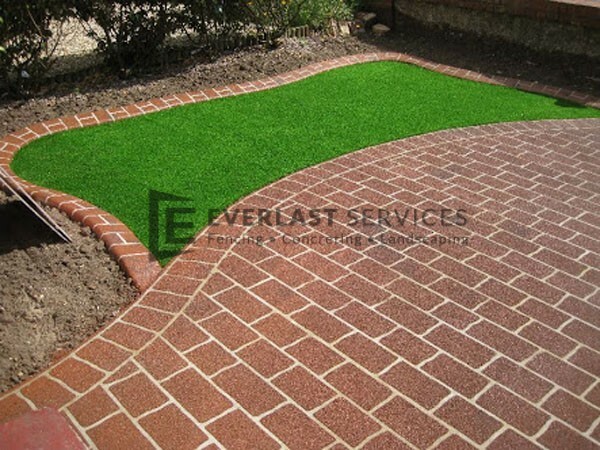 At Everlast Services, we don’t believe that quality has to come at a price. 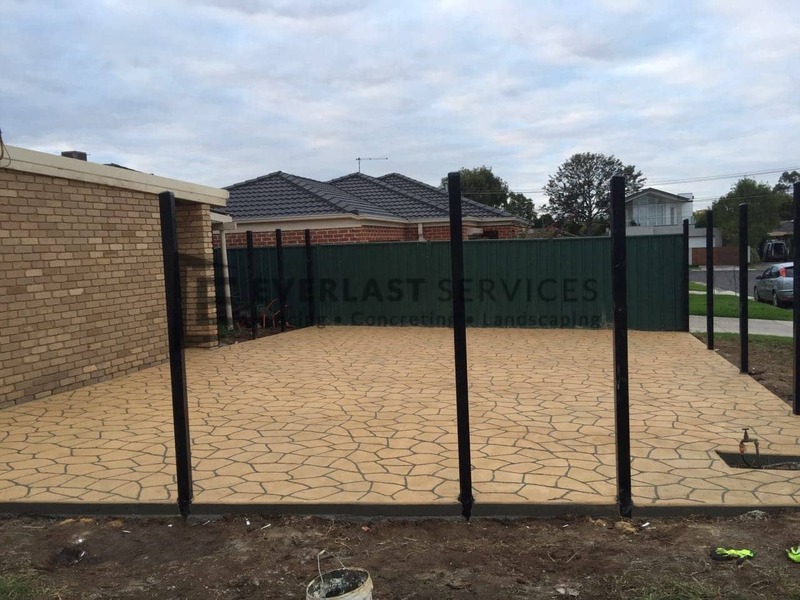 Our relationships with suppliers allow us to purchase the best at discount prices and we love passing these savings on to you. 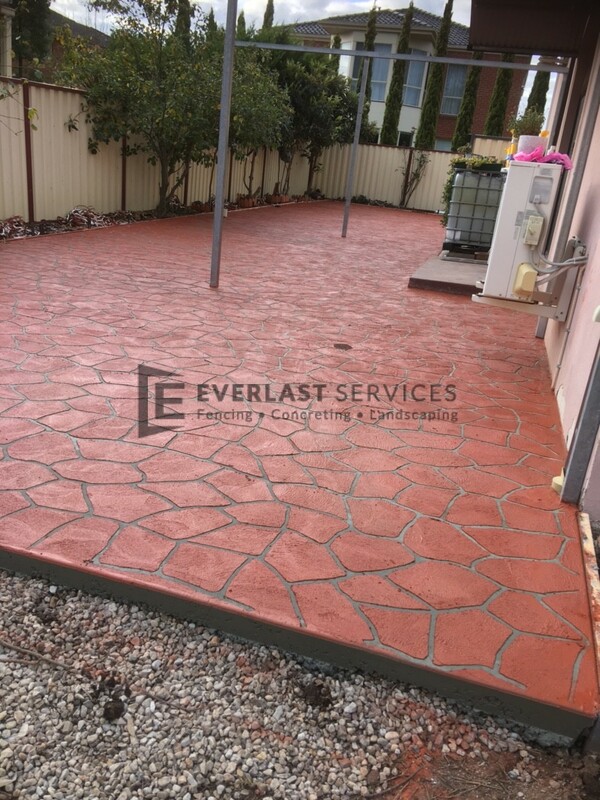 Creating the perfect concrete look is a fine art and it’s something that only comes with experience. 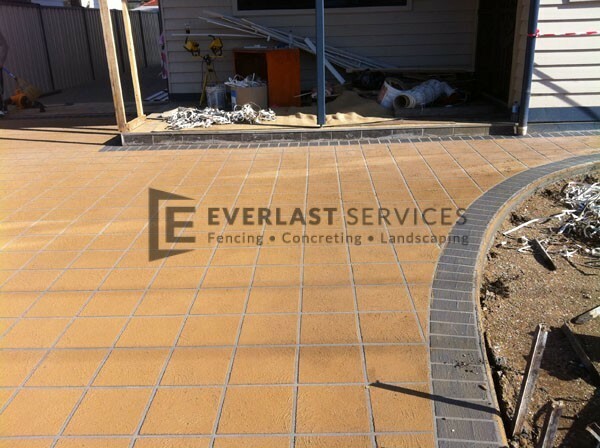 With 20 years experience behind us you can trust Everlast to deliver the exact look you want. 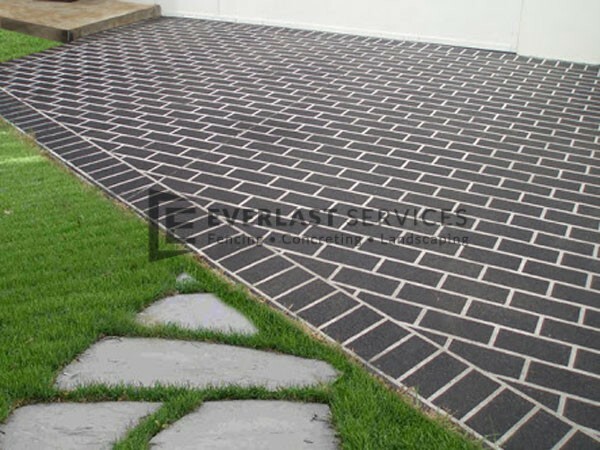 No variations, just the exact look you have been visualising. 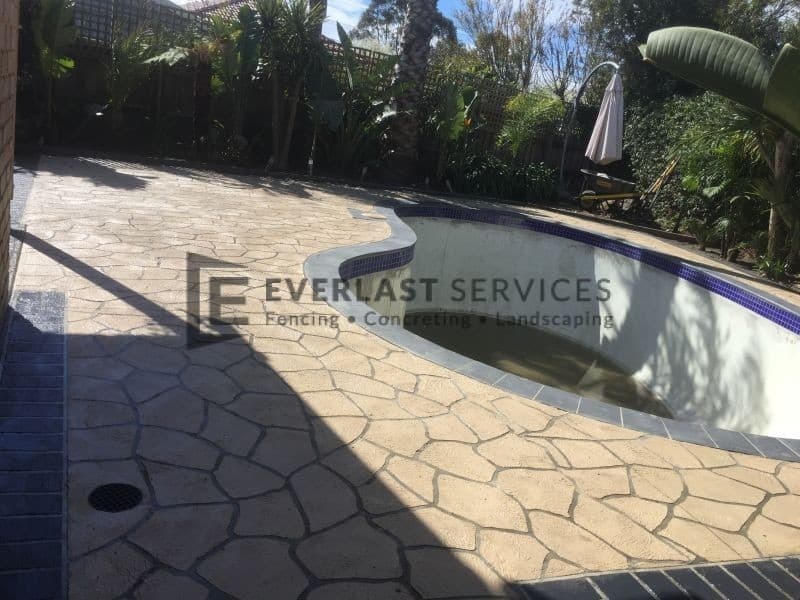 Our expertise extends far beyond stencilled concreting we also offer services in coloured concreting, stamped concreting as well as fencing and landscaping. 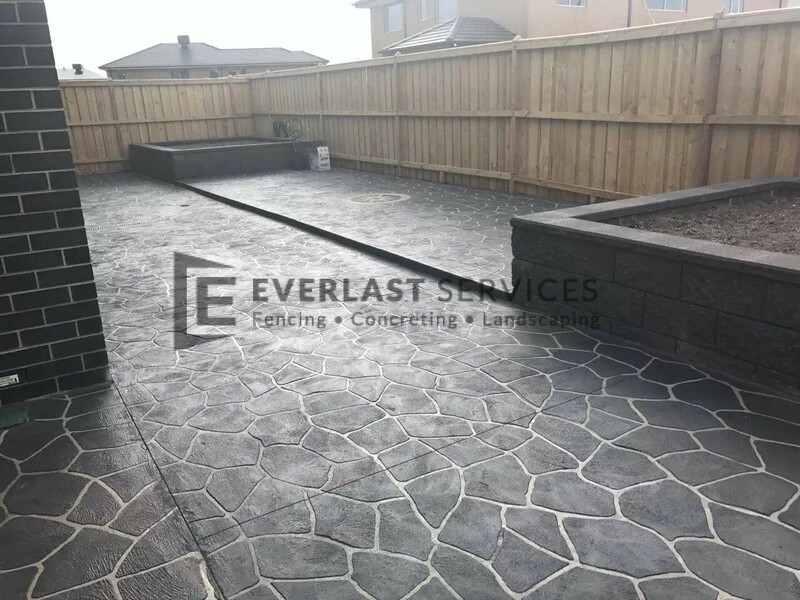 Our entire team carry a desire to deliver the absolute highest workmanship and respect for the needs of the customer, no matter the task you’ll be getting the best.